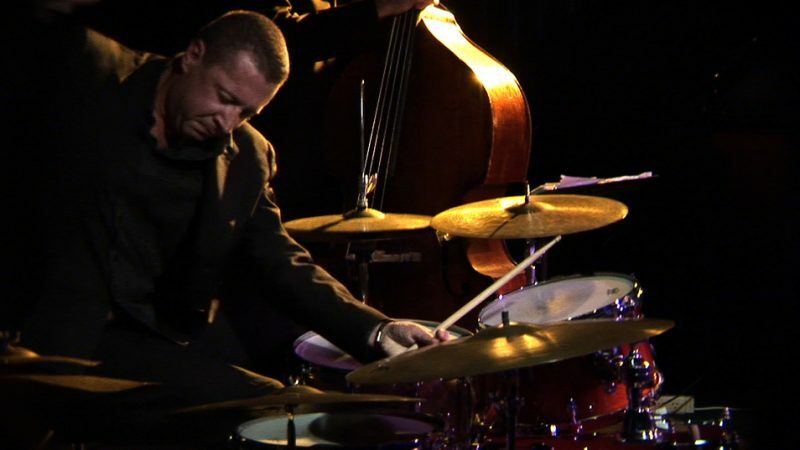 For drummer Simon Barker, it all started with a tape of Korean music that a friend had given him. 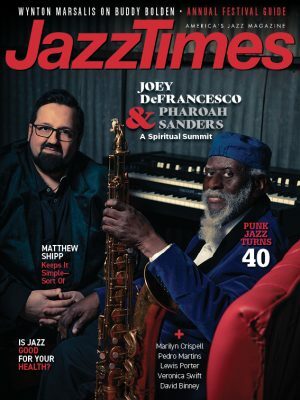 The Australian jazz musician was floored by the sound on the tape and was particularly captivated by the drummer, whose herky-jerky rhythms spoke to Barker. That tape sent Barker on a quest to not only find that drummer, but also to reinvent himself as a musician. 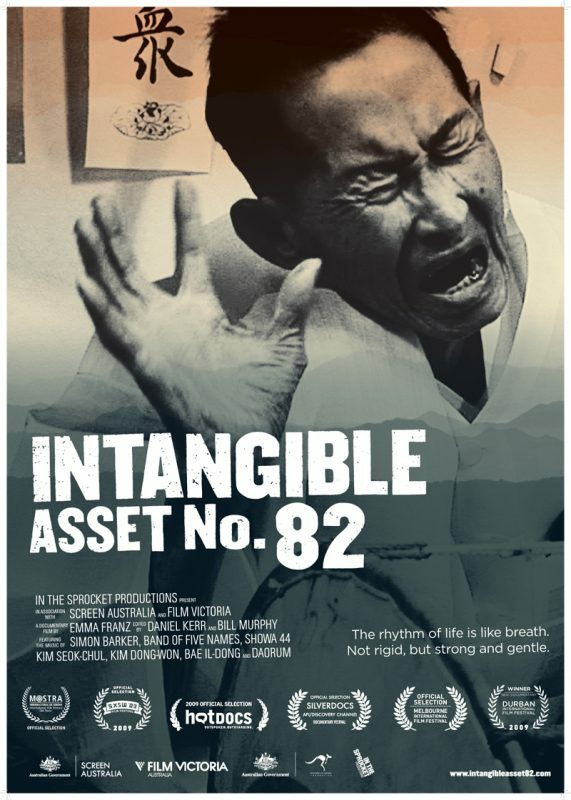 Filmmaker Emma Franz documented Barker’s musical and spiritual journey in a fascinating documentary called Intangible Asset Number 82. The film has been featured at film festivals all over the world and will be available on DVD later this year. And the film will be shown at Jacob Burns Film Center in Pleasantville, New York on Thursday, May 27, 2010. In the beginning of the film Barker explains that he has learned the identity of the drummer on the tape. 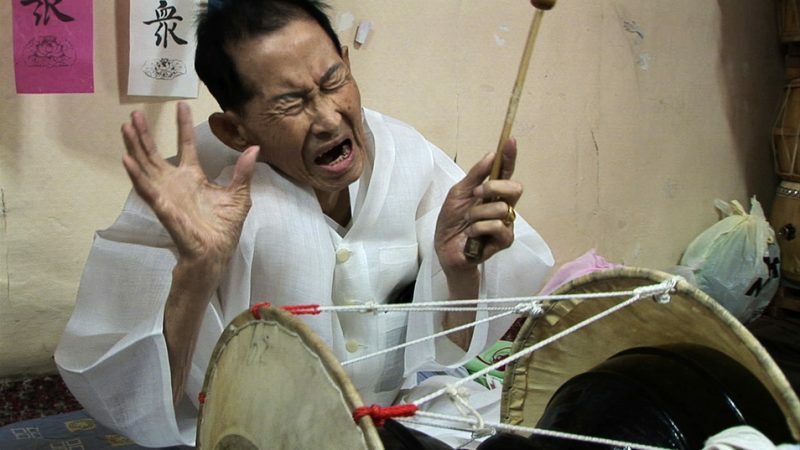 It’s Kim Seok-Chul, a musical shaman, who uses music to bridge the spiritual and material worlds. However, despite repeated trips to Korea and extensive research, Barker has difficulty finding much detailed information or material about Seok-Chul. Knowing that the shaman is in his 80s, Barker goes to Korea for the 17th time determined to track him down, in the hopes of studying with him. Over the course of his long musical and spiritual journey, Barker finds a new world of music and culture opening up to him. Along the way, he meets a singer who spends hours virtually shouting his music alongside a waterfall, a woman who became a shaman after becoming possessed at the age of eight and a man who teaches him how to relax by imagining he is collapsing in mourning. Eventually, thanks to the help of a musician/teacher Kim Dong-Won, Barker gets to meet the master, but their meeting turns out bittersweet for reasons we won’t disclose here for fear of spoiling the film’s inherent suspense. The title comes from South Korea’s designation of Seok-Chul’s gift as a national resource. Franz was attracted to that concept and felt that the title worked as a metaphor for the power of music. 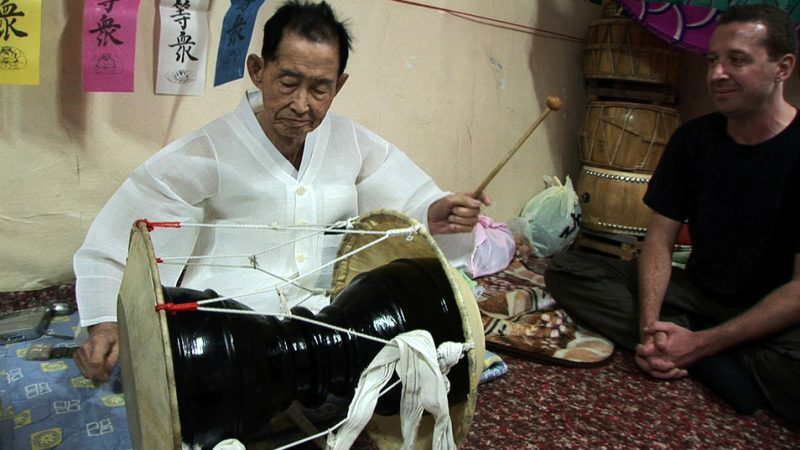 “They [the Korean government] value skills and talents, which I think is a beautiful sentiment-expressing the value of culture in our lives.” ‘Intangible Asset’ refers to the highest practitioner of the art form (the number 82 referring to the art form itself), whose job it is to sustain and pass on the art form. When one Intangible Asset dies, the honor is bestowed on whoever is considered the best living practitioner. However, Franz bristles slightly at the notion that the film might be seen as about shamanism.”I think the film is about the power of music and how barriers can be broken by music,” she says. And because the heart of the movie resides in the musical performances, the sound therefore was critical. Although she had brought lots of high-end recording equipment to Korea, in the end the simplest approach turned out the best. “For many of the scenes I used a boom mike and two stereo mikes and did my best to keep the levels peaking the way my editors had asked,” Franz says. “For the scene at the waterfall, we just used the directional mike on the camera. It was the most natural sound you could have gotten.” Indeed the sound is very naturalistic and the performances, many of which are in small rooms, are pleasing to the ear throughout the film. The core of the film-Barker’s journey to find Seok-Chul-took about a month of intensive filming, but Franz says that they went back to Korea to film other performances and events, that were integrated into the film, so that the filming stretched to 6-7 weeks. For more information about Franz, Barker and Intangible Asset Number 82, you can go the film’s web site.